Spontaneous dizygotic twinning occurs when two different eggs are fertilized by two different sperms in the same menstrual cycle. The hypothesis of double ovulation as an origin of dizygotic twinning is regarded as an established fact, but double ovulation from different follicles has never been observed or proven to be a cause of dizygotic twinning. 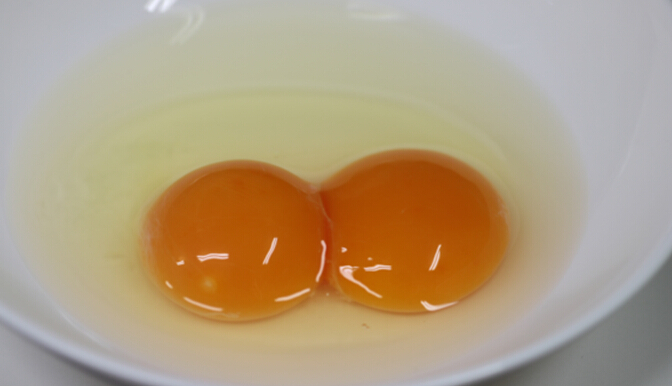 Some of us have seen, even some of us might have eaten, a sunny side up egg with 2 yolks. However, who would think it might possibly occur in humans too? Even for obstetricians, the occurrence of more than two eggs from the same follicle (polyovular follicle) is not common knowledge. However, since 90 years ago, the histological analysis of the occurrence of polyovular follicles in mammals including humans has been reported sporadically. There are some researchers and clinicians who have been questioning whether polyovular follicles may have actually been causing dizygotic twinning for a long time. Since the 1980's, in-vitro fertilization (IVF) treatment has been popular around the world. Since then, conjoined oocytes from polyovular follicles have been reported. Some results from mice and human studies assume that PCOS is related to the incidence of polyovular follicles. For example in the mice study the overexpression of rat inhibin alpha-subunit gene increases the incidence of polyovular follicles and the hormone profile of these mice resemble human polycystic ovary syndrome (PCOS). The other mice study has shown a high frequency of multi-oocyte follicles in the water channel aquaporin-8 (AQP8) deficient mice. Recently in humans one single-nucleotide polymorphism within AQP8 associated with PCOS has been reported. For a long time it has been contentious whether or not PCOS is related to the incidence of polyovular follicles. However, there were only two histological studies published which actually analyzed the incidence of polyovular follicles in women with PCOS, one was in 1958 and the other was in 1975. This issue is debatable and there is still not enough evidence to make a conclusion. PCOS is a common endocrine disorder occurring in 5-18% of women in reproductive age group. The prevalence of PCOS varies depending on definitions and populations studied. PCOS is a heterogeneous condition and the main features are (i) oligo- or anovulation, (ii) clinical and/or biochemical signs of hyperandrogenism and (iii) polycystic ovaries. In this study the authors showed a case report of a high frequency of conjoined oocytes from polyovular follicles (40% of oocytes retrieved, 4.3% of mature follicles) from a woman with PCOS who did not have any clinical signs of hyperandrogenism. This frequency of conjoined oocytes was higher than in previous reports from IVF treatment. The incidence of polyovular follicles (and conjoined oocytes) might be related to the pathophysiology of PCOS. One of the common features of PCOS is anovulation. Thus, PCOS can not be a major risk factor for spontaneous dizygotic twinning. However, under infertility treatment we may have to be more aware of the risk of multiple pregnancies for PCOS women. Hitomi Nakamura, Assistant Professor, Department of Obstetrics and Gynecology,Osaka University Graduate School of Medicine, Osaka, Japan. Ayaka Tanaka, PhD student, Department of Obstetrics and Gynecology, Osaka University Graduate School of Medicine, Osaka, Japan. Keiichi Kumasawa, Assistant Professor, Department of Obstetrics and Gynecology, Osaka University Graduate School of Medicine, Osaka, Japan. Tadashi Kimura, Professor, Department of Obstetrics and Gynecology, Osaka University Graduate School of Medicine, Osaka, Japan. A paper about the study appeared recently in Journal of Gynecology and Obstetrics.